As subconsultant to Buchart Horn, Inc., and also to Greenman-Pedersen, Inc., under two separate ITS design and construction support contracts, AEA developed the ITS device and communications system designs for the construction of the Route 22 corridor from mileposts 31.6 to 50.25. Our work included the development of the concept of operations report, construction contract drawings, construction details, specifications, and engineers estimate, as well as the evaluation and preparation of the Regional ITS Architectures documenting conformance to the requirements of the NJDOT and FHWA. The projects included the installation of 7 DMSs, 7 Travel Time System devices, and 11 CCTV cameras. 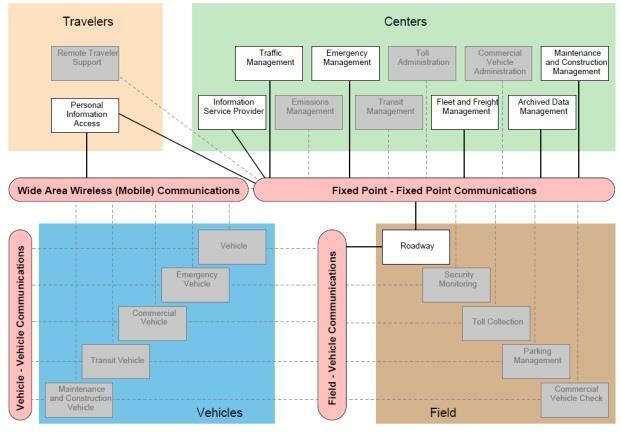 The communications design included a total of 8 miles of fiber optic cable and approximately 15 miles of wireless communication utilizing line-of-site transceivers integrated with numerous IP network switches and routers. The project designs required extensive coordination with NJDOT Traffic Operations, Office of Information Technology, Mobility Management North, NJDOT Maintenance, our prime consultants, the NJDOT Traffic Engineering Bureau, local utilities, and various equipment vendors. We are also providing construction support services to participate in system installation, testing, final documentation approval, as acceptance as required. The projects were completed on budget and on schedule.